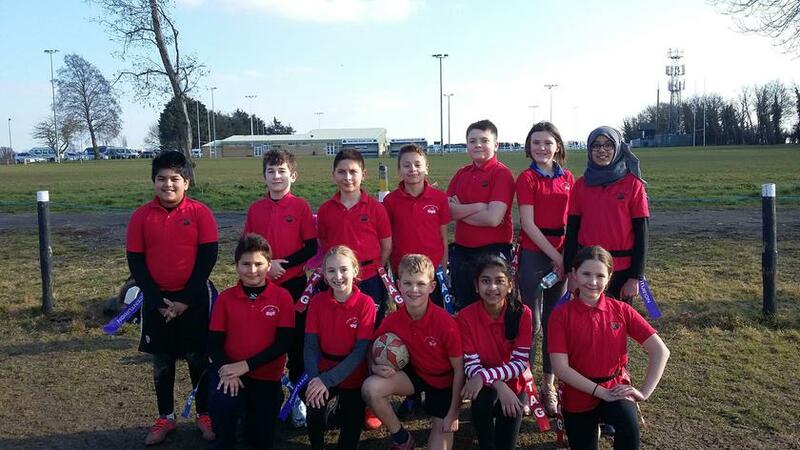 Our Year 6 Tag Rugby team enjoyed a very cold afternoon at Shelford Rugby Club as part of the Cambridge School Sports Partnership Tag Rugby Large School competition. They played 6 games altogether and only lost twice. Although they just missed out on qualifying for the next round, they should be very proud of their performance. In particular, Charlie led the team brilliantly, displaying excellent communication skills while Maheen's handling skills were exceptional. Both Mr Hastings and I were very proud of their efforts. Well done!